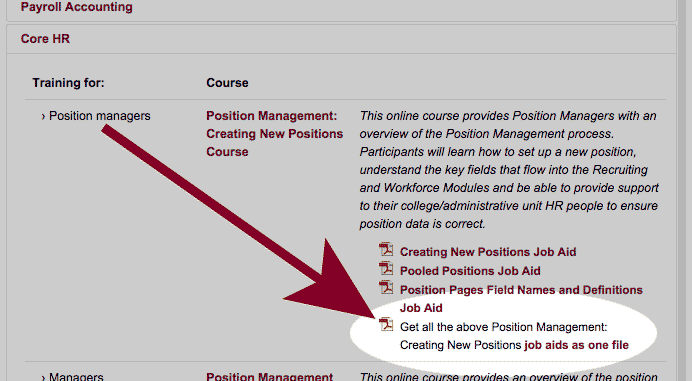 Handy “all-in-one” PDFs have been added for each course with multiple job aids. 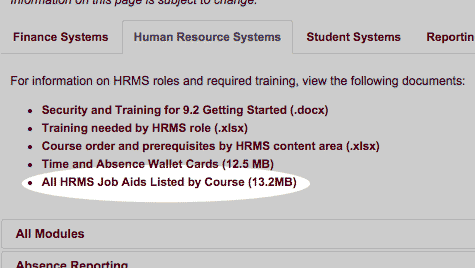 Look for this link toward the bottom of each course description or drop-down category. Simply click on the link to begin downloading these materials. You can also easily download all of the job aids for Financial and H.R. education and training sections. Look for the link at the top of the tab. Clicking on the link will initiate the download of a .zip file.